The International Banking Center of Panama closed July with assets of $ 118 000 602 million, representing an increase of 2.7% compared to the previous year. The deposits have continued to grow, despite international cases that have affected the reputation of Panama. Approved and that are discussed in the National Assembly, which provide for the exchange of financial information with other countries and new demands on companies that have operations in the country, “robustecen the framework of transparency of our financial system legal initiatives, they are steps in the right direction and send a signal to the market and different regulators on the commitment and seriousness with which the banking system manages its risks. ” This was stated yesterday by the Superintendent of Banks of Panama, Ricardo Fernandez, at the opening of the First Latin American Summit Financial Risk, held in the Panamanian capital. On September 20, the National Assembly approved on third reading the law that guarantees the intergovernmental agreement between Panama and the United States to exchange banking information automatically. The Executive also presented to the Assembly a bill to require companies offshore accounting records and another to regulate the exchange of information upon request and automatic, following the guidelines of standard Organisation for Economic Co-operation and Development (OECD). For some voices of society, these initiatives will mean a loss of competitiveness of the financial platform and legal services in the country, which could translate into an outflow of deposits. 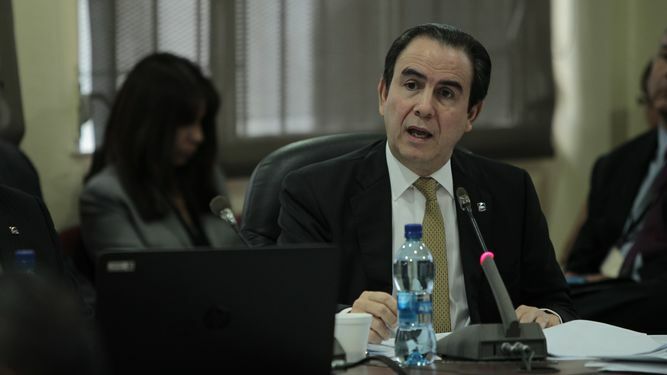 Fernandez referred to the latest statistics from the Superintendency of Banks of Panama (SBP) to refute this hypothesis. Despite international concern cases that have affected the reputation of Panama so far this year, central bank data continue to reflect growth. Total assets completed in July $ 118 000 602 million, which is 2.6% higher than a year earlier. Local credit portfolio closed the period at $ 47 000 299 million, exceeding the 10.1% reported in the same month of 2015. Total bank deposits totaled $ 84 000 772 million (1.9% more), while local deposits grew 7.2% and reached $ 50 billion 005 million.